At Jewish Home's insistence, tax break for gay couples raising children will not take the form of legislation. A compromise deal hamered out between the Coalition parties will give gay couples who raise children the same tax benefits as regular parents, but will not take the form of legislation. Instead, the break will be defined in an ordinance issued by the Finance Minister, Yesh Atid head Yair Lapid. 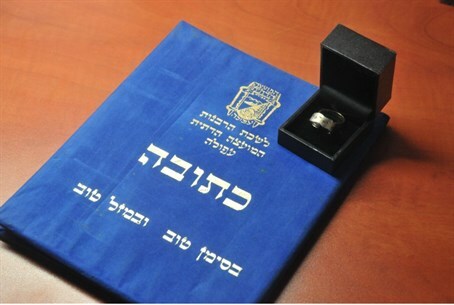 The Jewish Home, the government's sole religious party, fought against a bill proposed by MK Adi Kol from the secularist Yesh Atid party, granting the tax benefit to gay couples. The move by the Jewish Home caused anger in the secularist camp and Jewish Home MK Ayelet Shaked, who is secular, was particularly vilified for her part in the move. Several of Shaked’s Facebook critics compared her to the Nazis. “It’s a shame that the Nazis came first and the Jewish Home party only came later, they could have learned from you about more savvy, quiet racism. Maybe you can teach Russia how to do things a little more slowly and humanely,” one poster said. “You don’t deserve to live in an enlightened country, with educated people who took us out of the pit called religion… You deserve a husband who hits you, a miserable life, and the knowledge that your job is to crank out babies and keep your mouth shut,” one wrote. The issue caused a Coalition crisis that required the intervention of Prime Minister Binyamin Netanyahu.